Bring the classic table games to the virtual world, seems to give good results, and the proof of that is draw something, which with a style similar to the Pictionary, is a sensation between the users of mobile phones and social networks. 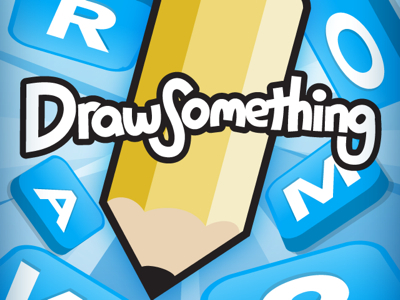 Draw Something, allows us to compete against other users drawing or guessing different concepts or words. We can play against strangers or also as adversaries to be Facebook friends. Now, Draw Something, which is available for IOS and Android, received a new update, which allows, among other things, upload images of our drawings to social networks. 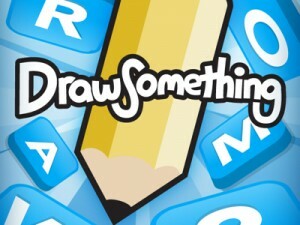 Draw Something, is simple to use, addictive and fun, becoming a true success. OMGPOP, its developer, was bought by Zynga, a company queen of social games and which now adds Draw Something to its extensive catalog. To play, we only require the application download for free (there is a paid version without advertising) and to go and play, authenticating us with our Facebook account, thanks to which we can find containers within the list of contacts in the social network of fashion. Here everything is done with your finger, you can use to draw, paint, erase, of course, write the answer then guess the picture of your opponent. In its new version, a feature was added for quick erase, easy upgrade of items and the aforementioned ability to directly publish our pictures on Facebook and Twitter. Absolutely recommended, Draw Something you can download from the AppStore or Google Play Store. We are not responsible if you spend all day (and part of the night), playing.